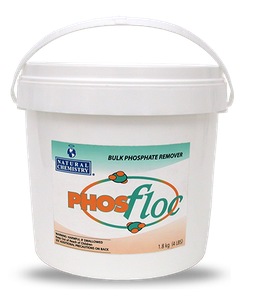 Phosfloc is a high grade, iron free floc that dissolves instantly in water. When used as directed, it reduces very high phosphates in pool water. Phosphates can then be reduced to near zero levels by using Natural Chemistry’s Phosfree or Pool Magic™ + Phosfree. 1. With circulation system on, adjust pool water pH to 7.0-7.2 (VERY IMPORTANT!) before adding Phosfloc. 2. Add 4 pounds per 10,000 gallons (Important: this is the minimum amount required per 10,000 gallons, do not under dose) ofPhosfloc to a large bucket of water and mix. If pool has a recirculation (filter bypass) setting, add Phosfloc/water mixture slowly to skimmer and allow water to circulate for 4-8 hours. 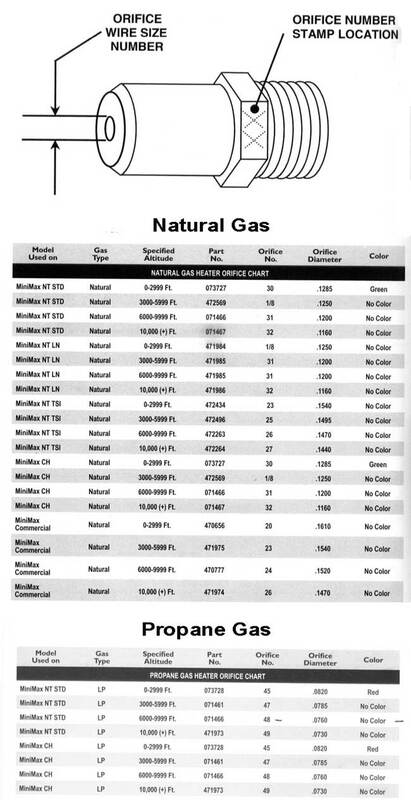 Do not add directly to the filter. Turn system off and allow Phosfloc to settle (this may take up to 12 hours). VACUUM SEDIMENT TO WASTE (Do not vacuum to filter). 3. Important: It may be necessary to further reduce phosphate level to near zero using Phosfree® or Pool Magic™+Phosfree®. 4. Continue to maintain near zero phosphate levels all season long with a weekly maintenance Pool Perfect®+Phosfree®. 1. 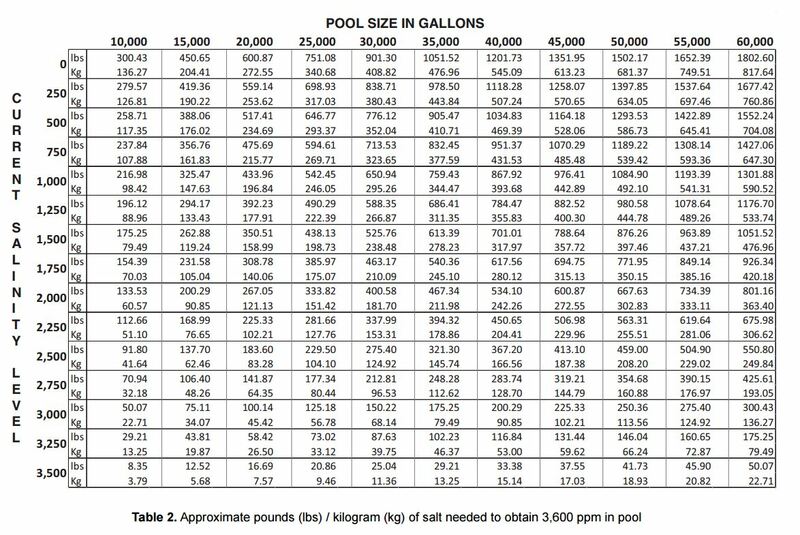 Add 4 pounds per 10,000 gallons (Important: this is the minimum amount required per 10,000 gallons, do not under dose) ofPhosfloc to a large bucket of water and mix. 2. With filter system off, broadcast this mixture over the water while walking around the pool. 3. Allow Phosfloc to settle (this may take up to 12 hours). VACUUM SEDIMENT TO WASTE (Do not vacuum to filter). Once above procedure is complete, test phosphate level. Ensure phosphate level is at 300ppb or less to begin the weekly maintenance of Pool Perfect®+Phosfree®.